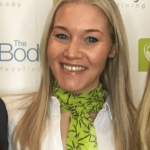 The Body Clinic is an Award winning non-surgical cosmetic treatment clinic based in Stourbridge. 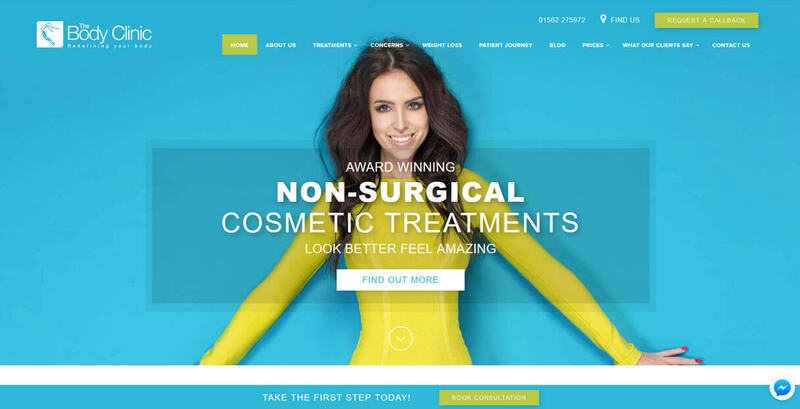 Their old site was very simple and doing little to help attract new clients. 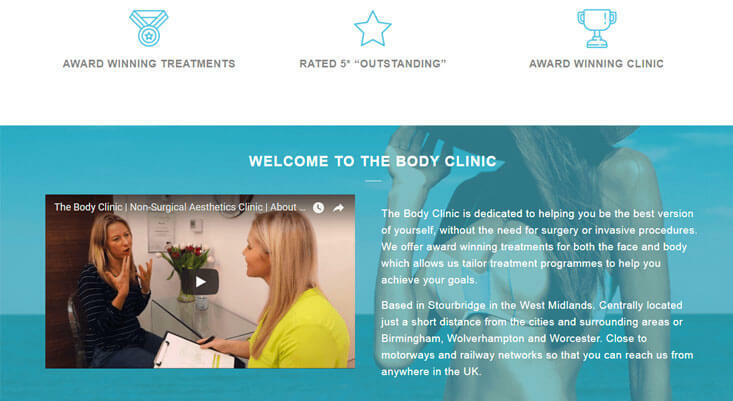 We gave the site a complete makeover to help showcase the unique range of treatments they offer as well as a key focus on being a knowledge centre for all things non-surgical cosmetic procedures. 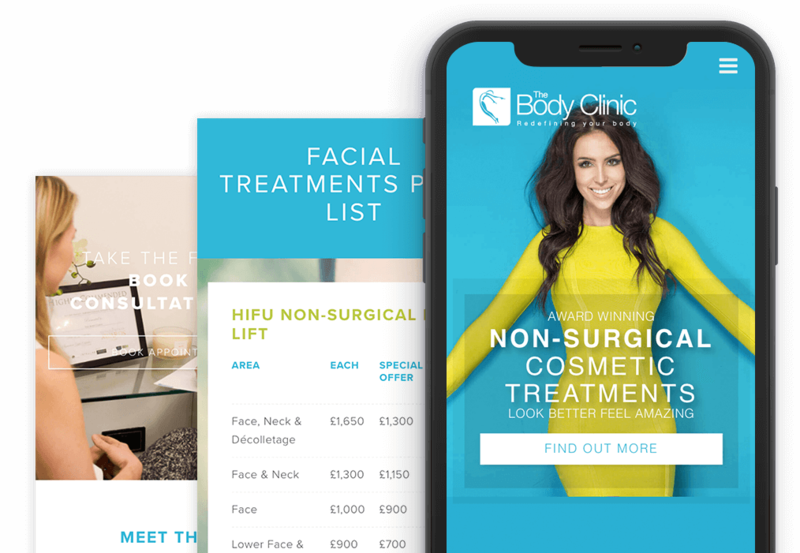 As well as giving the site a complete refresh we added multiple calls to actions and lead generation for new appointment bookings. The site is connected to Infusionsoft CRM and Pipedrive to help the team to deal with new enquiries and close more appointments. They have multiple automated marketing follow up campaigns for new prospects and special offers to current customers. The site was built using WordPress to allow easy content management. We set up multiple custom post types and web forms that the team can use to enhance the content and offers around the site.